Unique in Hungary, this crystal structured, three-storey building constructed using state-of-the-art technology is a spectacular adventure park for every generation. 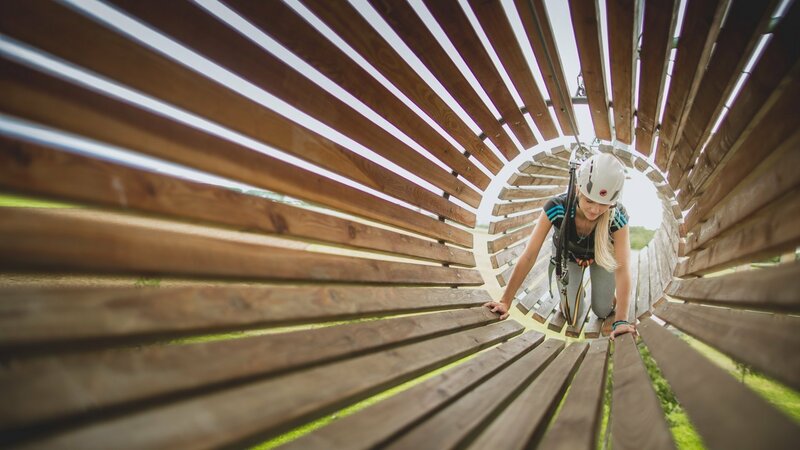 Capable of hosting 120 people simultaneously, the Crystal Tower has everything to provide all-day fun for the whole family and friends; an over one-kilometre-long adventure track including a great swing and also an almost 200-metre-long zip-line, the Flying Fox. The monumental structure erected on a relatively small area is 17 metres high, 35 metres wide and comprises 90 elements. The 225 sq m terrace in a height of 13 metres affords breathtaking views and is capable of hosting events as well.